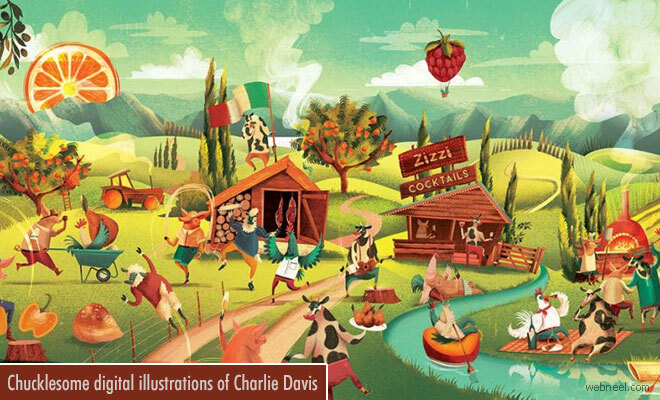 Digital illustrations of Charlie has funny expressions where texture plays an important role in his style that add warmth and richness to the art. The inspiration behind the illustrations comes through his observation of people around him and the techniques of beautiful illustration by others. Another feature of digital illustrations of Charlie is trying to let shapes stray from reality and be exaggerated in areas to create quirks and personality. According to him illustrator's style is like their handwriting, and will have a different characteristic filled in the work even if similar to another's style. Here are few digital illustrations of Charlie for you to enjoy.